In November 2014 Jennie Hammond, from Belfast, Northern Ireland, was crowned the UK’s Smartest Shopper by online voucher company Savoo. 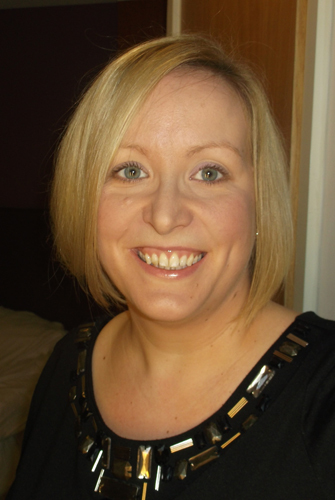 As well as working full time she writes and maintains a money saving blog at www.embarrassingbudgets.co.uk and in her first blog for the Living Room she talks about her own experience of being in debt and provides some money-saving tips. For years I lived at the limit of a large, four figure overdraft, but never thought it was a major problem. Yes, it would have been nice to see my bank account go into the black on payday, but this never happened, and, I reckoned, if the bank was happy to ‘give’ me their money, I was happy to take it. I only began to get concerned when my periodic requests to increase my overdraft stopped being approved. I realised at that point that the endless stream of cash that the bank made available to me had, in fact, ended. Then the unthinkable (or inevitable) happened. I got a letter from the bank to tell me that my overdraft would be cut by £1,250 within the next three weeks. There was shock, there was panic, there was a tearful, sleepless night, and by morning there was an Excel spreadsheet listing all of my income and expenditure. My very first household budget. Literally overnight, I went from being totally clueless (or blissfully ignorant) about money, to knowing exactly what I could afford to spend, to repay, and even to save. On contacting the bank the following morning (which was much less daunting than I had expected) I agreed to repay £110 per month in order to clear the debt within one year. I was fortunate enough to be employed at the time, albeit on a temporary contract, and that I knew that, with some changes, I could meet the repayments. The biggest change I needed to make was to my mind-set. I was by no means living an extravagant lifestyle, but I needed to cut back. I had to look for ways of making my money go further, and I had to start holding myself accountable. Amazingly, I did it. Not only did I manage to stick to my new budget, but I also entered and won Savoo’s Smartest Shopper competition in November 2014. If I can cut back, make wiser spending choices and ultimately get out of debt, you can too. Get some free debt advice to discuss your options, and check out my top tips for spending less. Create a simple budget. Know exactly what income you have coming in, and what you need to spend money on. 1. Do I want this? 3. Will I use this? 4. Can I afford this? 5. Have I checked prices elsewhere? Keep a spending diary. A small notebook is ideal, just jot down everything you spend. I keep all my receipts in my purse until the end of the day and then make note of the day’s spending. Remember to ask for receipts if they aren’t offered. Read product reviews. Buying cheap can be a false economy if the item’s not fit for purpose. Check out reviews on shopping or review sites like Revoo.com. Keep smiling. Think of ways to have fun for less. Cash in supermarket vouchers for cinema tickets and restaurant vouchers, cut days out vouchers from cereal packs, and go exploring in your local area. You might be surprised to discover what free attractions are on your doorstep! 1. Do I want this?2. Do I need this?3. Will I use this?4. Can I afford this?5. Have I checked prices elsewhere?